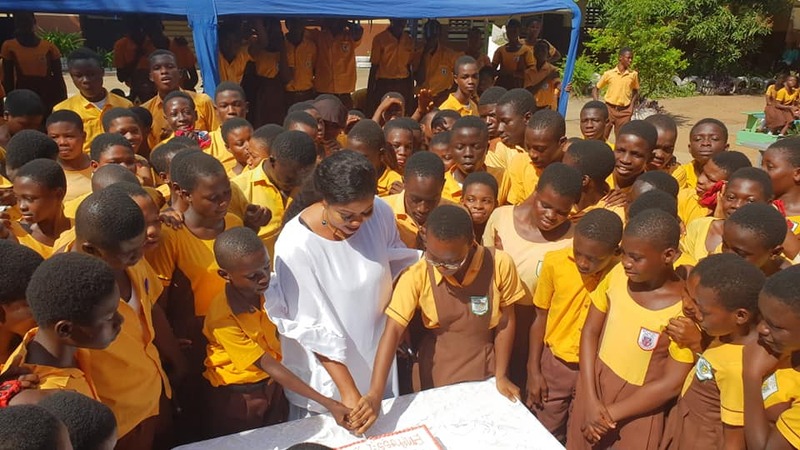 Gospel Diva Gifty Osei affectionately known as Empress has donated items and an undisclosed cash amount to her alma mater Oninku Drive 2′ JNR high School at Tema Community 1 as part of her birthday celebration. The items include modern white boards for classroom lessons to replace the black boards used by the school, ovens to aid the Home Economics students to put the theory of baking into practice, office equipment, stationery and an undisclosed cash amount. The songstress who was accompanied by her mother and old school mates recounted how she struggled growing up to a point where accommodation was a problem for her family and they had to perch on the school premises for survival. She expressed gratitude towards the school for its enormous contribution and how it shaped her life.